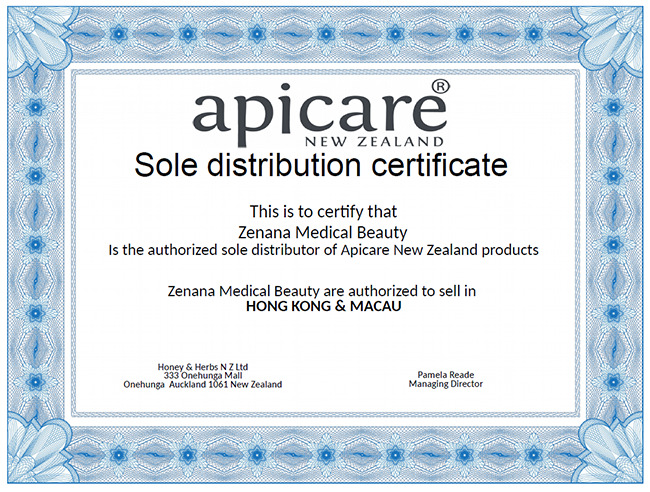 Zenana Medical Beauty 很榮幸成為 Apicare (New Zealand) 的香港及澳門獨家代理, 推介最天然的蜂蜜肌膚護理產品給香港及澳門的客戶! Apicare 紐西蘭 - 蜂蜜肌膚護理產品的優惠推廣及詳情, 敬請LIKE及留意Apicare HK的Facebook專頁! Copyright © 2019 ZEnana Medical and Beauty. All Rights Reserved.